The majority of workplace accidents are avoidable and usually caused by some type of negligence or defective product. Workplace injury includes any type of injury or illness that was caused by or occurred on the job. The type of workplace accidents and workplace injuries vary significantly – ranging from relatively minor ankle sprains to life-altering spinal cord injuries. It is in your best interest to consult with a personal injury attorney if you have been involved in a workplace accident and sustained injuries. 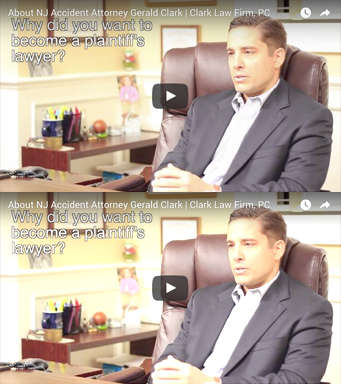 The personal injury lawyers at the Clark Law Firm, P.C. are experienced in handling liability claims related to workplace accidents, as well as workers compensation insurance claims. Work related illness is an illness that can be said to be related to some type of condition, sickness or disease that was caused by job related functions. This may include exposure to hazardous chemicals or materials, such as asbestos, or carpal tunnel syndrome – a condition that develops as a result of doing the same activity over and over for an extended period of time (e.g., computer work). These illnesses and symptoms usually develop over a period of time, unlike workplace accident injuries, which are as a result of a particular accident or event. Workplace injury may also occur as a result of a particular activity or accident, such as a trucking accident, scaffold collapse, ladder accident, an explosion, or defective mechanical equipment. Personal injury that occurs as a result of these types of workplace accidents can be devastating, leaving the injured worker with a difficult painful recovery, loss of work, loss of income, and sometimes life altering circumstances. Depending upon the type and severity of the workplace accident, the seriousness of workplace injuries can range quite a bit and can even include death. Workplace injuries include, but are not limited to, contusions, sprains, fractures, burn injuries, amputations, head or neck injuries, brain injury, spinal cord injury, partial or complete paralysis, vision loss, hearing loss, carpal tunnel syndrome, low back pain, muscular imbalances, psychological trauma, post-traumatic stress disorder, and psychiatric conditions such as anxiety or depression. These injuries can occur from a variety of workplace accidents including unhealthy or unsafe working conditions, defective equipment and machinery, defective tools, improperly used equipment or machinery, insufficient worker safety training, slips, trips, falls, wet flooring, slippery walking surfaces, scaffolding collapse or accident, auto accidents and truck accidents. Provide safety equipment such as protective eyewear and head gear, back braces, etc. The United States Department of Labor encompasses the Occupational Safety and Health Administration (OSHA) which is charged with preventing work related illnesses, injury, and death by providing safety standards and regulations, inspections, as well as safety education. In an effort to minimize workplace accidents, OSHA safety violations are punishable by fines, which can cost a violator thousands of dollars. Workers’ Compensation is insurance carried by most employers in order to provide benefits to workers in the event they sustain an on-the-job injury. This insurance will provide benefits for medical expenses and benefits towards loss of income. Workers’ Compensation is a no-fault system which means it is not necessary to prove fault on the part of the employer for injuries the employee sustained. While compensation for workplace injuries is often addressed through filing workers’ compensation insurance claims, if the personal injury was caused by a defective product, there may be grounds for a lawsuit against one or more parties related to the defective product. In addition, if the employer was found to be grossly negligent, such as not providing property safety equipment for workers, there may be grounds for a claim directly against the employer. Whether the circumstances related to the workplace accident call for submission of a workers’ comp claim, or if they warrant legal action, there are steps that should be taken to protect the worker’s rights. First and foremost – the injured worker should obtain medical treatment for their injuries. Documentation is tremendously important when it comes to submitting any type of claim. The workplace accident should be reported to the worker’s employer / supervisor. Document when the accident was reported and to whom the accident was reported. A log of witnesses should be taken as well as witness statements. Document the scene of the workplace accident with photos. If there was specific equipment or tools related to the accident, keep them if possible, or at a minimum photograph them. Consult with an experienced personal injury attorney as soon as possible. Many workplace accidents cause serious injuries that require medical care, sometimes long term, as well as loss of income. Recovery can be long and painful, and quite costly. Often times, workers compensation insurance offers minimal benefits that may not include the long term financial burden caused by the injuries and may also not include compensation for pain and suffering. It is imperative that you contact a personal injury lawyer that is experienced in handling workplace accident and related workplace injury claims. If you or a loved one has been involved in a workplace accident that has caused personal injury contact the Clark Law Firm, P.C. for a consultation as soon as possible. Our personal injury attorneys have the experience and knowledge of both workers compensation insurance claims as well personal injury liability cases related to workplace accidents. Our personal injury attorneys can evaluate the circumstances surrounding your case and assist you with mapping out the best course of action to ensure your rights are protected and that you receive appropriate compensation.